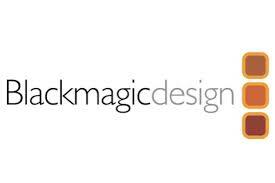 When I mention the name Black Magic Design (BMD) in video production circles the image conjured up is of cutting edge production cameras, DaVinci Color Grading software, and small portable 4K camera systems that have gained wide popularity in recent years with customers worldwide. BMD systems have been synonymous with stunning imagery and are used on productions as wide ranging as the French Open, Disney’s Tomorrowland, Mad Max and Furious 7, to name just a few from the last few months! BMD has made significant inroads into the world of professional filmmaking and television production with a broad line of products. But did you know they make a Drone Friendly 4K camera system? Huh? Well hang onto your gimbals kiddies cause BMD has sat back and studied the problem and in their typical fashion, come out with a camera solution that hits it out of the park, over the parking lot and bounces it off an 18 wheeler on the freeway beyond. Don’t get me wrong, I love my GoPro cameras, I have and use Hero’s Hero 2’s, 3’s, and yes I bit the bullet the second they were available and grabbed a 4 Black, and they are wonderful for what they are, a rugged dependable HD, (or 4K in the Hero 4 Blacks case) camera system, that won’t break the bank. 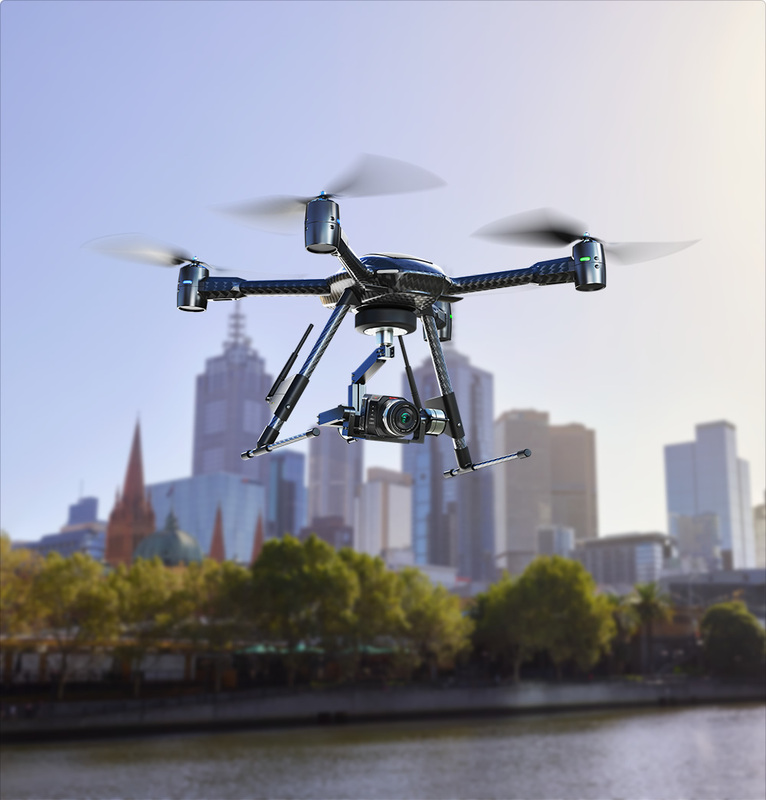 Having said that, those that use them understand they have their limitations, and probably nobody is more aware of those limitations than those who use them on a sUAS platform for aerial photography and video. From the fixed focal length lens, and lack of external control (except by a tenuous link on wifi or blue tooth), which if your flying 2.4ghz for control or down-link is “Problematic” to say the least. 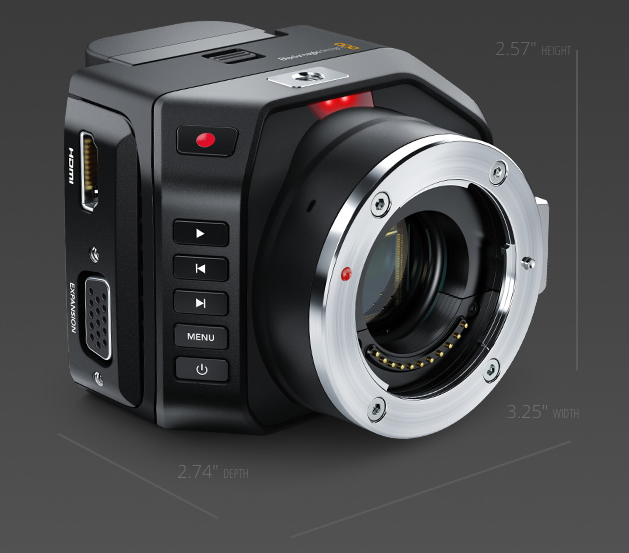 Enter BMD’s new Micro Cinema Camera. BMD has studied and listened to aerial photographers and cinematographers and addressed a laundry list of issues or complaints in a small compact and yet OPEN platform. A list of SOME of those items is below. Light weight Super 16 sensor allowing creativity in what you leave in focus and what you might want a bit defocused. 13 THIRTEEN! stops of exposure latitude. Meaning when your subject moves from bright sunlight to under a tree, you have enough exposure latitude to actually see them and continue the shot. Global Shutter, which means no more jello, no more rolling shutter issues. Takes INTERCHANGEABLE Micro 4/3 format lenses from top names like Panasonic, Sony, Zeiss, Canon, and others. 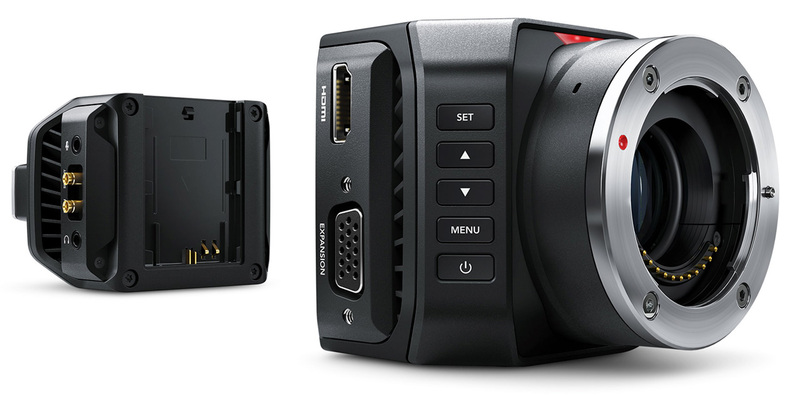 On Board SD Card records in Cinema DNG Camera RAW or Pro Res. No more converting in post or doing a Digital Intermediate, These formats are easily handled by major edit systems and accepted throughout the filmmaking world. But the most important in my opinion…..
FULL control of the camera system from the ground, utilizing S-BUS or PWM signals. That’s right, you can use your Futaba, Spektrum, JR, Taranis or virtually any other TX and control this camera’s functions in the air…..Let that sink in…. Remote Stop and Start, Focus adjust, Zoom, Aperture control and fine adjustments, color shading, gamma adjustment, a myriad of menu adjustments all while in the air. Rig this to a Taranis with a Pair of X8R receivers and a single servo connector to join them and you now have 32 S-BUSS channels of control, to do whatever you can dream up with your camera, while it is still in the air. Sun comes out or goes behind a cloud just as the director yells action? No problem, A quick iris adjustment and with 13 stops of exposure latitude your ready to go. The Dirt Bike Rider your following dumps his bike and you get the shot, but now the bike won’t start. No use burning all that 4K footage while he messes with it, shut down the camera, and wait, or even come back and land. Either way your editor will thank you, your IT / Data Wrangler will thank you and your accountant will thank you. At UNDER a Thousand Dollars (minus lens) the Micro will no doubt usher in a new era of affordable Ultra HD aerial cinematography.